Pinot Noir is a mystery to many. How can wines made from the same grape differ so much in quality, complexity and cost, even in the same region? 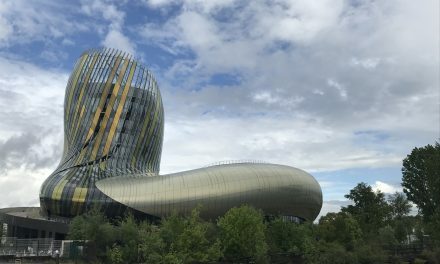 Fans of Burgundy lament that the best wines in the world come from this small part of France, as do some of the most unreliable and unpalatable. 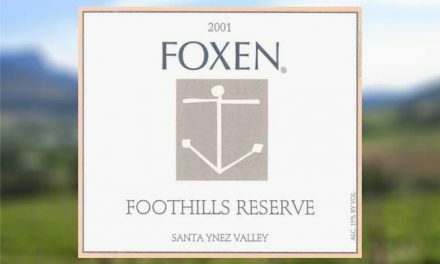 Winemakers in most of the world struggle to make a drinkable Pinot Noir under $15 a bottle, something of higher quality with good varietal characteristics under $30 or something memorable and great with food at $50 and over. The grape is difficult to work with, from early budding through harvest and beyond. Yields are lower than most other premium varietals. Natural sugars at harvest may be too low. Fermentations can get stuck. Some wineries make a light, quaffable wine. Others go for dark behemoths with Cabernet-like intensity. 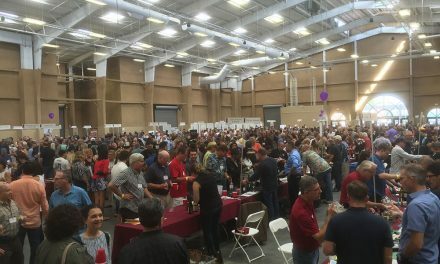 What can contribute to making fine Pinot Noir? 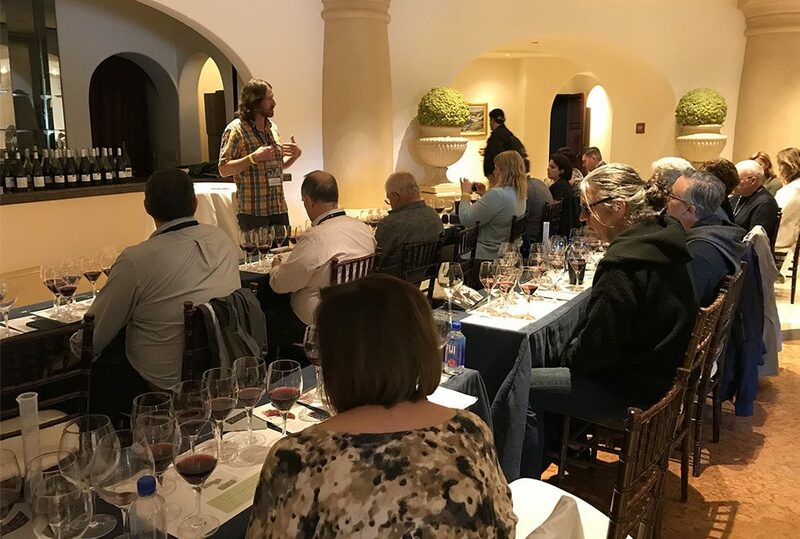 During the World of Pinot Noir (WOPN) annual event, held March 1 and 2 in Santa Barbara, Greg Morthole, winemaker from Davis Bynum, guided Pinot Noir fans through an educational session to increase understanding of the differences among the clones used to make Pinot Noir wine. In the previous blog, we covered a panel of experts discussing the parallels between wines from Burgundy and Oregon, with clones being important to both. Grapevine clones, Morthole noted, originate from one single “mother” vine. Many of the clones with numbers originated from Morey St. Denis, in the Cote d’Or of Burgundy, France, and the Pommard clone from the Cote de Beaune. He said he and his team analyze the individual wines produced from nine different clones on their estate in the Russian River Valley estate to make their flagship Jane’s Pinot Noir. Morthole said each clone adds its own aroma, flavor and structure. For the analytical tasting, he poured wines made from six different clones. 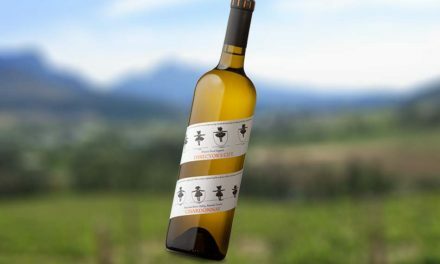 Each went through the same harvesting, pressing and fermentation process and spent two years in neutral French oak barrels before bottling. After the tasting, participants were given beakers and laboratory pipettes to try their own hand at blending. The group sampled six clones and my personal blend included two parts Wadenswil, two parts 115, and one part each Pommard, 777 and 667. The result was a wine with a mid-ruby color black cherry, sweet floral secondary nose, with hints of earth and leather; mid-body, balanced tight acids and tannins; and a long fruity finish. Score: 16.5 on the UC Davis 20-point scale (91 on 100-point scale). I liked a neighbor’s blend better, which was half 115 and 777. Pommard Clone – Light to medium hue, mid-brick; earthy, leather, dried mushroom, black cherry nose; medium bodied; soft tannins; balanced acidity; long fruity aftertaste. Clone 777 – Deep red hue; black cherry, leather, tobacco, cassis and earthy notes; full bodied; medium tannings; balanced acidity; long, semi-tight fruity finish. *Organoleptic characteristics of the wine: strong and intense colors, strong aromas, typical of this type, good balance – round, tannic, appropriate to keep. Clone 667 – Medium red hue; cherry, black tea, warmed earth, peppery nose, hints of spice; nose; medium bodied; soft tannins; balanced acidity. ; long tight tannic finish. *Organoleptic characteristics of the wine: beautiful, strong color, elegant and quality bouquet but not well developed, has the structure of a wine to keep, tannic, quite long. Clone 115 – Medium to deep red hue; raspberry, red cherry rose petal nose medium to full bodied; soft tannins; balanced acidity; long fruity varietal flavors. *Organoleptic characteristics of the wine: strong color with a purplish hue, superior bouquet, elegant rich aroma typical of its type, a hint of small fruits, well structured, tannic, long, suitable for keeping. Clone 113 – Medium to light red hue; red berries and flavors, cherry raspberry and spicy rhubarb, nutmeg, distinct varietal nose; medium bodied; soft tannins; balanced acidity. Wadenswil 2A – Red-blue hue; cherry, raspberry, rose petal nose; medium bodied, medium to firm tannins; fairly high acidity; long tannic tight finish.